We, in Agiliway love celebrations. We always have fun and get presents on special occasions. This time Oleh and Roman were presented birthday certificates. Each certificate includes a range of activities to choose the one, a person liked the most. 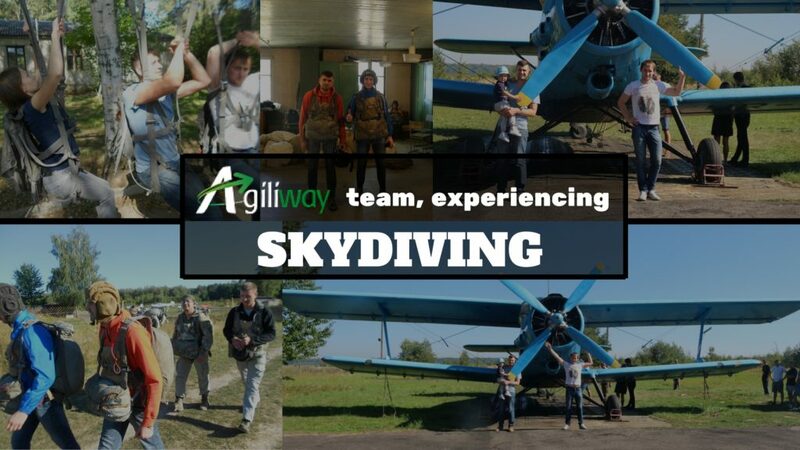 It was not surprising that our colleagues chose the most extreme one – a parachute jump. Skydiving was never something that guys were desperate to do, but they decided to take a chance. Before getting to the sky they got a full instruction on how to behave in the air. Of course they could have chosen to fly 400 m or less, but: “Why waste time on trifles”, – and so they were preparing to take a long flight from 900 m height. 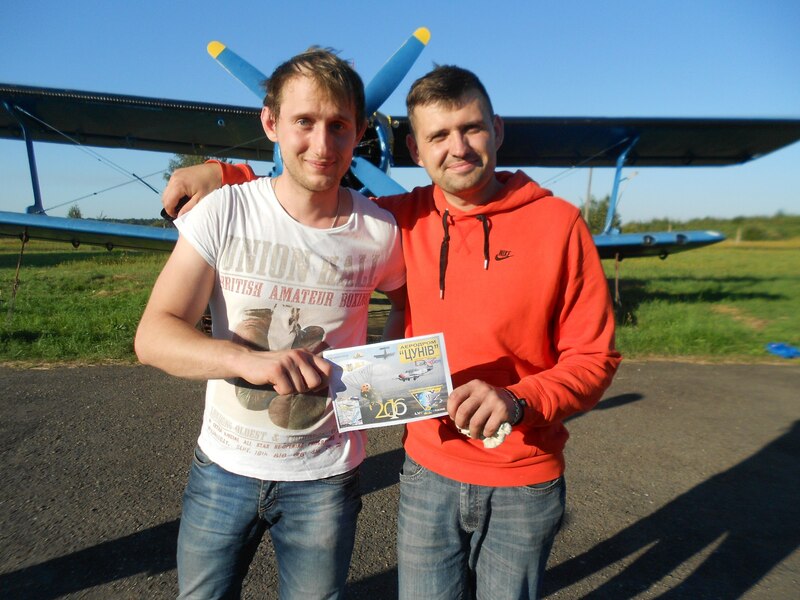 Roman and Oleh found themselves with the bunch of strangers about to jump 900 meters into thin air. Oleh noticed: “All we know there, in the sky, was that we were a long way from the ground and there was only one way down and no time for scare”. As we all know “Fear is temporary, achievement is permanent”, our guys took it as a credo. It took 10 minutes to get up to 900 meters and just a few minutes to fall to ground. They were falling at a speed of up to 160mph, the freefall lasted 4 seconds, and then they had to release the parachutes immediately. As the parachute opened the experience became calmer and guys got a chance to observe the beautiful scenery around, everything seemed so small on the ground and the feeling was really amazing. Roman and Oleh cruised around for approximately 3-5 minutes and then came in to land. 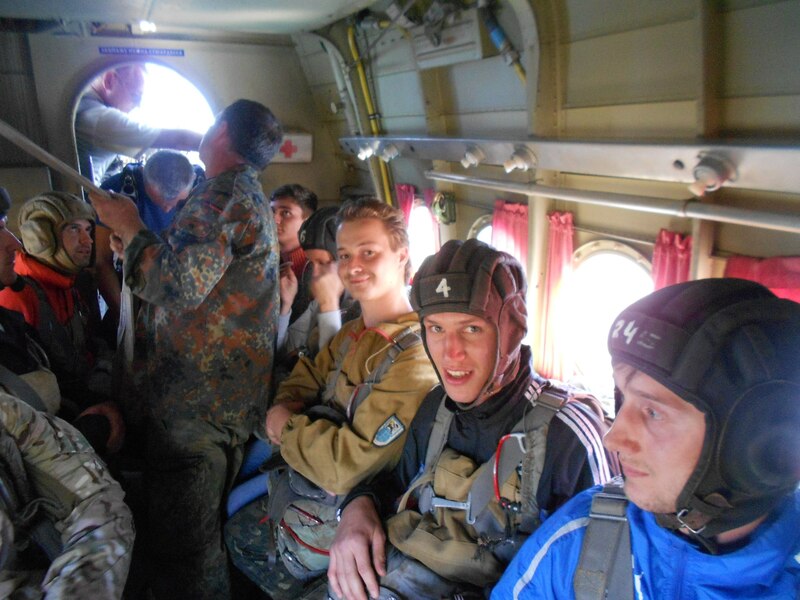 “Emotions that parachute jumpers feel are unique and cannot be compared to any other feelings” – Oleh was trying to express his feelings after the flight. Those who value the feeling of total freedom, speed and like to get the portion of adrenalin should definitely try it. 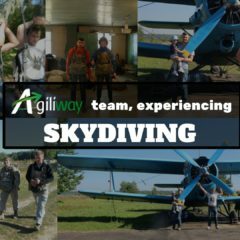 Agiliway team members lead an active life. We love spending time together and get new experience whether it is at work or outside the office.